Dr. Surya P. Raguthu is the director of Medwin Family Medicine and Rehabilitation and of the Acute Life Rehabilitation Center. Specializing in the treatment of chronic and acute injury, musculoskeletal and cardiac rehabilitation, and in electro diagnostics and pain management, Dr. Raguthu restores optimal function to people with injuries to the muscles, bones, tissues and nervous systems. He also visits all departments in each facility, manages finances, consults with other medical experts, attends staff meetings, and oversees patient treatment. Dr. Raguthu developed programs specializing in administering physical, occupational and speech therapy in acute, subacute and outpatient facilities. He practiced cardiac, pediatric, coma recovery, sports medicine, general and musculoskeletal rehabilitation. Over the years his affiliations with St. Vincent’s, Beth Israel, and Wyckoff Heights Medical Center have given him the opportunity to work with pioneers in the profession. His greatest thrill is being able to treat patients and help them walk again. He practices with his wife, Dr. Manjula Raguthu. He also provides free services to people who cannot afford certain medical services. Bringing 11 years of experience to his practice, Dr. Raguthu serves as the medical director for a free standing rehab hospital. Dr. Raguthu is a board certified physiatrist whose greatest thrill is being able to treat patients and help them walk again. 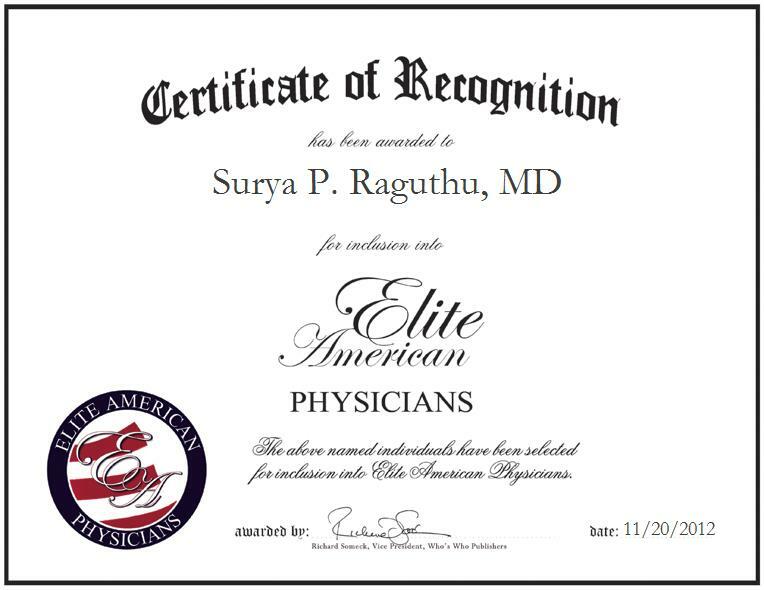 He practices along with his wife, Dr. Manjula Raguthu, and they operate a successful familly practice. She was among the Top 100 Physicians in Family Practice for both 2006 and 2008.